Take your outfit to the next level for an evening out with a classic strand of pearls. 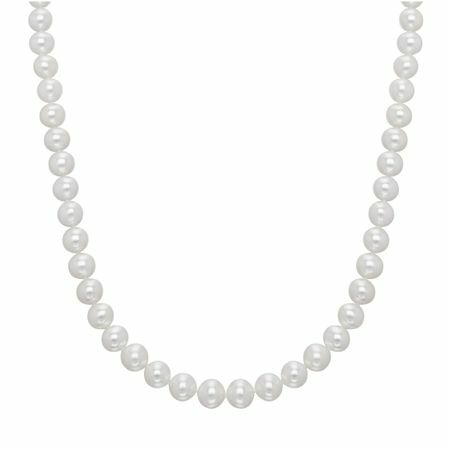 7-8 mm white freshwater pearls lend their elegant shine to your neckline, complete with a 14K gold clasp. Piece measures 18 inches in length and is finished with a pearl clasp.